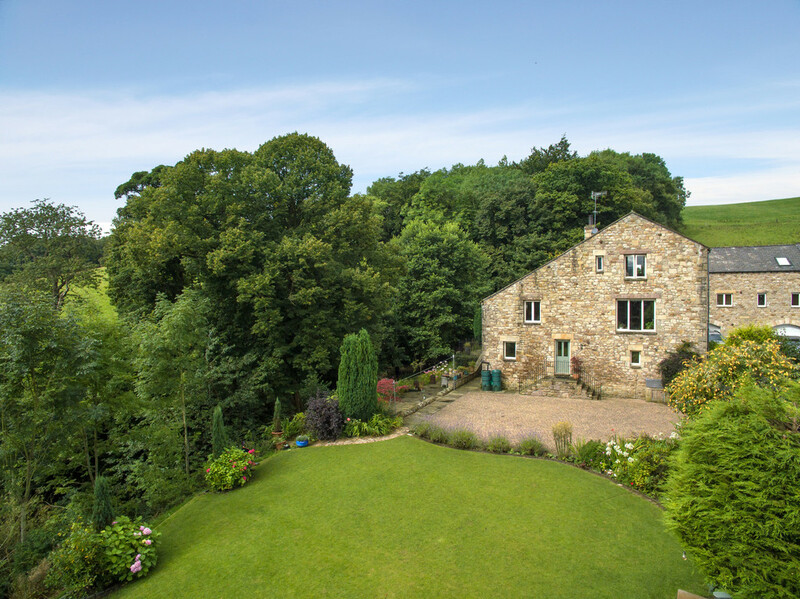 Originally built in the 1800’s, within the peaceful hamlet of Aughton, Hillside House presents a unique and exciting opportunity to acquire a truly eye catching detached 5 bedroom barn conversion with woodland extending to approximately 2.5 acres. With accommodation laid out over three floors, all meticulously and lovingly converted in 2003 and designed by John Moore and Partners of Lancaster, this much loved luxurious and charming property has been sympathetically built utilising the original stone, and presents an abundance of appeal and quality features. 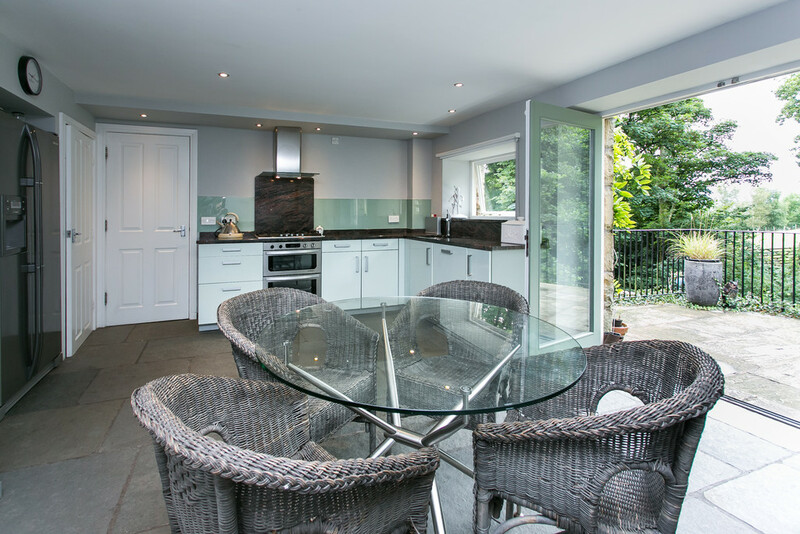 As one of the former buildings of the Talbots working farm, Hillside House is approached by a quaint shared courtyard, providing a pleasant community feel with 5 other properties. Nestled within private grounds, idyllically sat along the banks of the Ghyll, Hillside House is extremely thoughtfully presented to provide flexible and spacious living accommodation with underfloor heating throughout and affording generous and relaxing social areas, equally matched with 5 good sized bedrooms, 3 of which offer ensuites. A remote control gated entrance leads to impressive ample parking and beautifully manicured lawns, perfect for sitting out in to admire this wonderful haven. 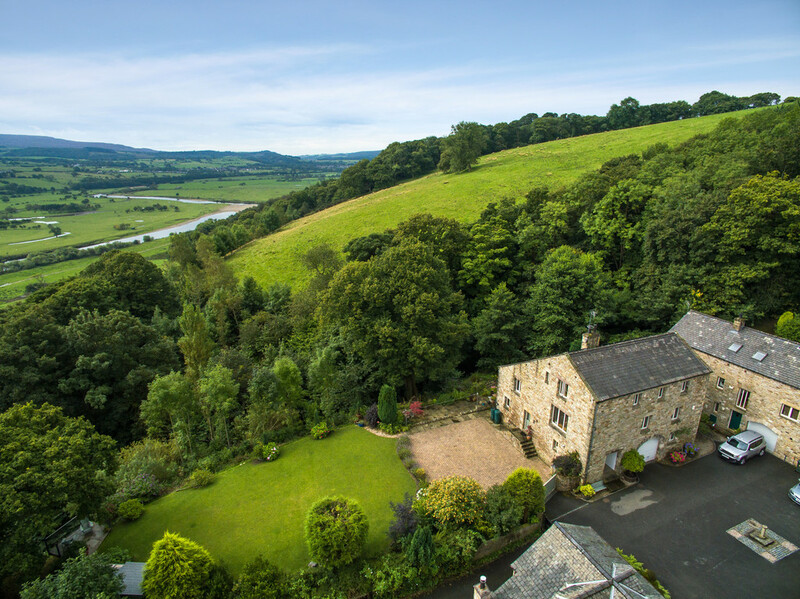 Picturesque views can be enjoyed from all of the rooms of the lush, green, and extensive south facing gardens to the side and rear and Sidebank wood or of the delightful vista of the striking countryside and beyond. Purchasers will also be delighted to know that Hillside House benefits from a superfast B4RN broadband connection. 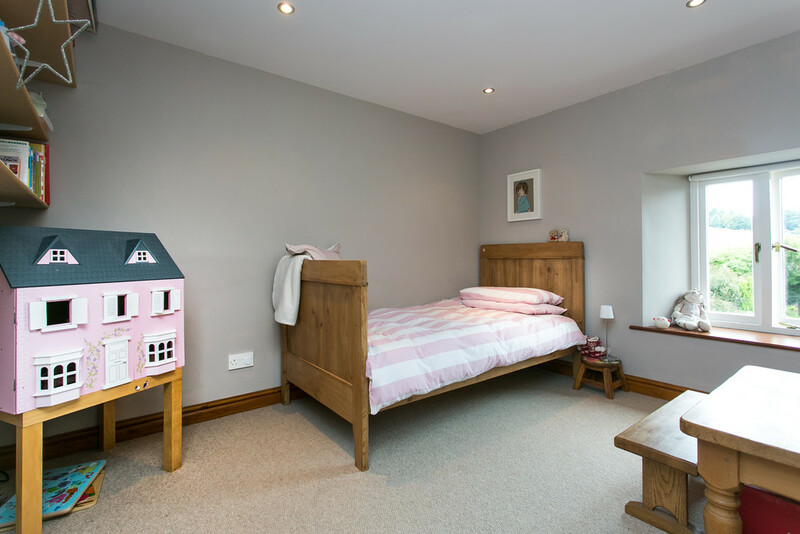 Set in an Area of Outstanding Natural Beauty within the desirable Lune Valley, the welcoming community of Aughton, meaning place where Oak trees grow, continues to thrive to this day with a full calendar of well supported events based around the church and recreation rooms. The nearby village of Over Kellet, just 3 miles away has a host of amenities by way of a well supported village store, post office and local pub. 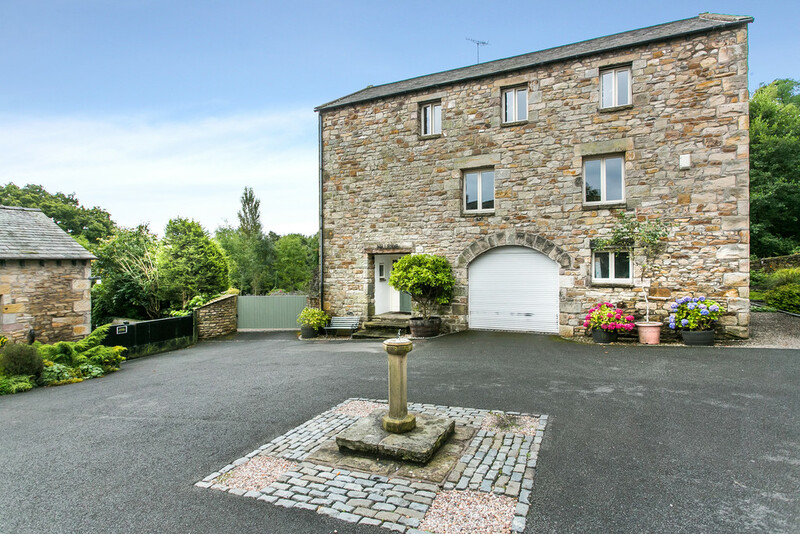 Aughton village provides easy access for work or leisure into Lancashire, Yorkshire and The Lakes and with the A6 just 5 miles away and junctions 34 and 35 of the M6 close by, is extremely convenient for commuters. 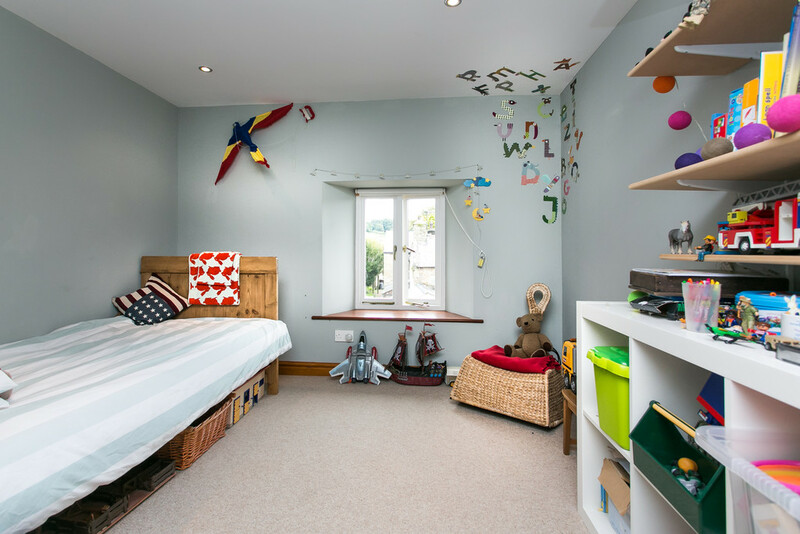 A good choice of schooling for all ages are available in Halton, Arkholme and Kirkby Lonsdale, 9 miles and the property is in the Catchment area for the highly regarded Boys and Girls Grammar Schools in nearby Lancaster. The nearby Carnforth train station provides quick access to the West Coast Mainline in Lancaster, allowing commuting to London Euston within 2½ hours. 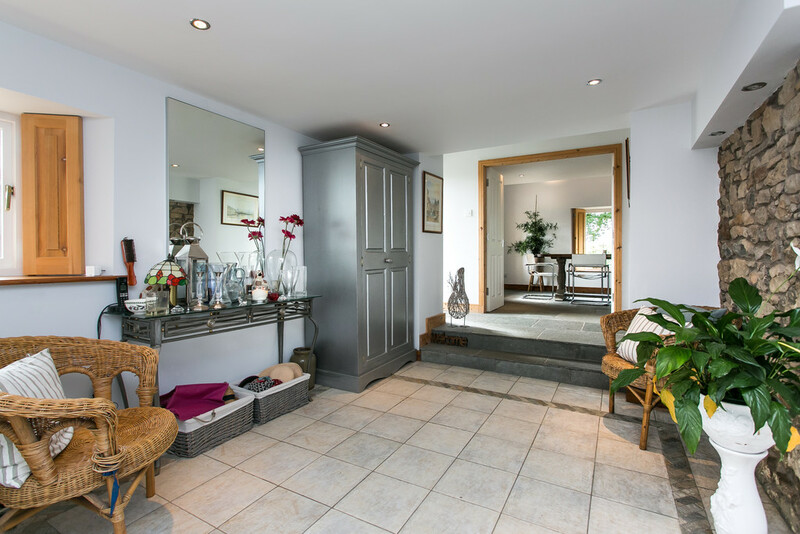 The entrance hall of Hillside House offers a most inviting welcome and sets a heartwarming tone for the rest of the property, with lovely porcelain tiles, stone insets and a characterful exposed stone wall, to the left is a useful downstairs WC with Roca sanitary ware. To the right leads to an attached garage/workshop with a remote controlled access door affording ample shelving for storage. 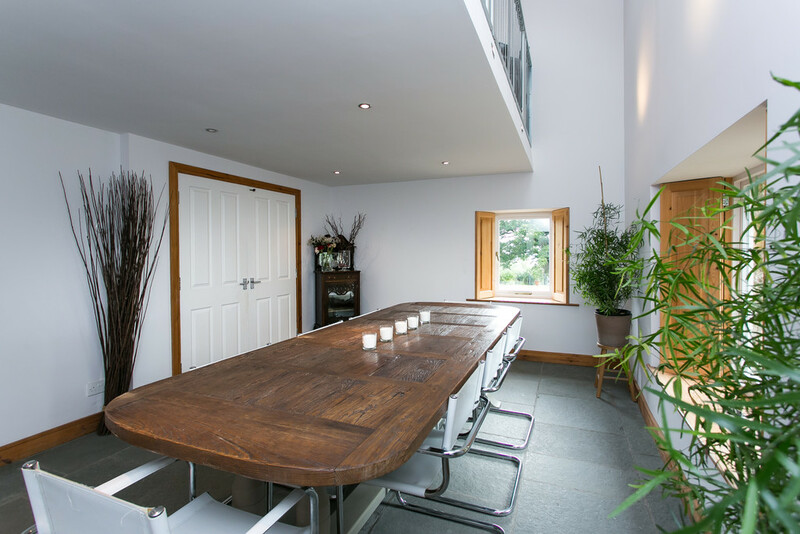 Back to the entrance hall, leading up the hearty Indian flag stairs, reveals the impressive dining room. 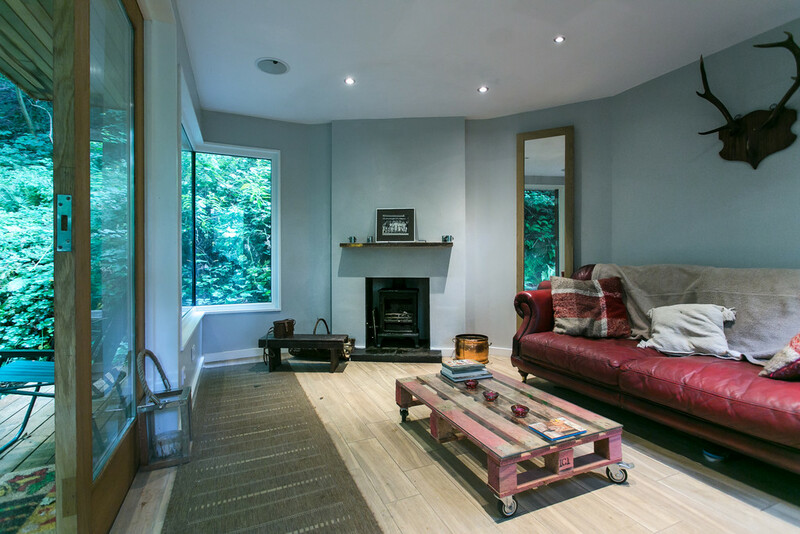 Fresh modern walls and double aspect windows adorn the room with light and traditional wooden shutters frame the windows with pleasing views over the peaceful gardens and stream. 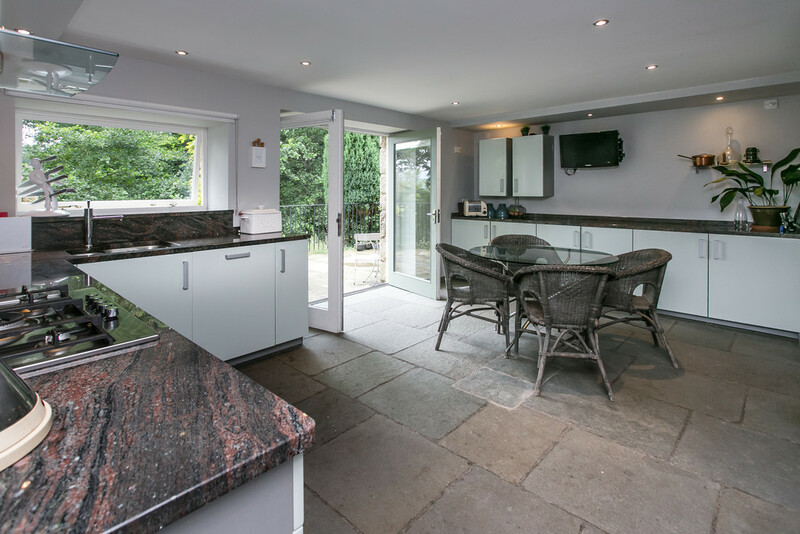 The modern and tasteful kitchen offers a light and airy feel, affording a quiet retreat with glazed french doors leading out to a raised flagged patio perfect for alfresco dining. Granite marbled tops with a glass splash back house tasteful units all incorporating a Baumatic microwave, and De Dietrich cooker with a gas hob and cooker hood. There is also a Siemens dishwasher, a 1½ bowl stainless steel sink, space for a large fridge freezer and an excellent pantry with fitted shelved storage. Off the kitchen is a well fitted utility room with space for a washing machine and fridge freezer. 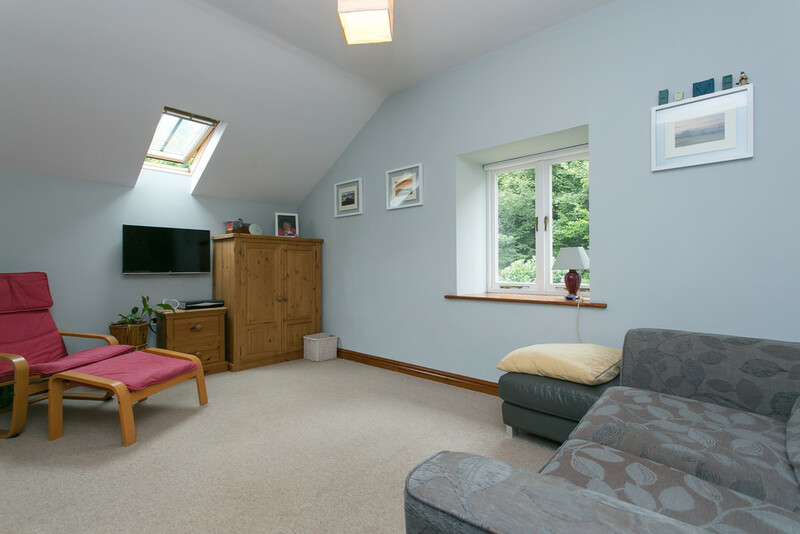 Onwards to the first floor leads to a light and airy gallery landing with attractive bannisters and a skylight continuing the bright and spacious feel. 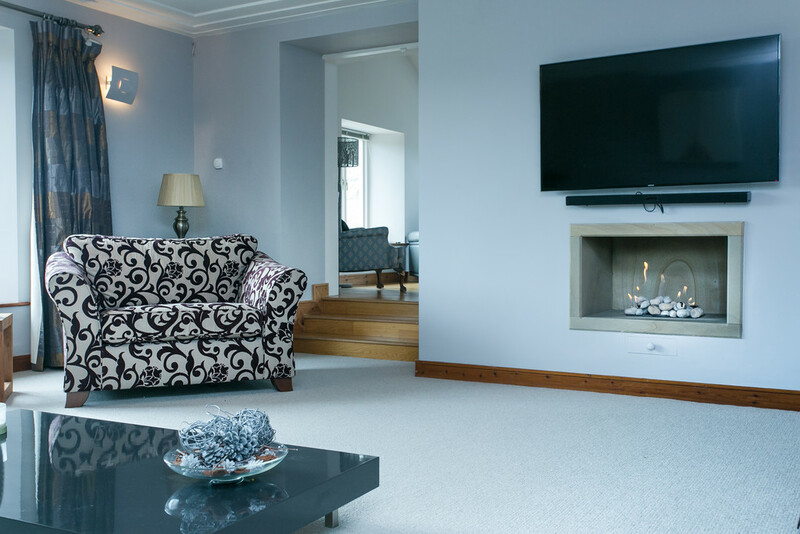 The magnificent living room of very generous proportions wraps around an attractive inset pebbled gas fire with a sandstone surround. 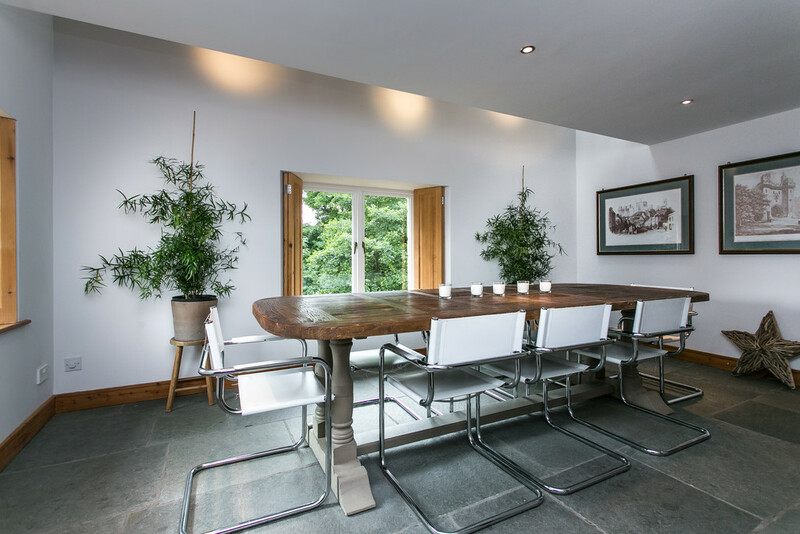 High ceilings and an admirable landscape window unveil magnificent views overlooking the established gardens and Lune Valley. 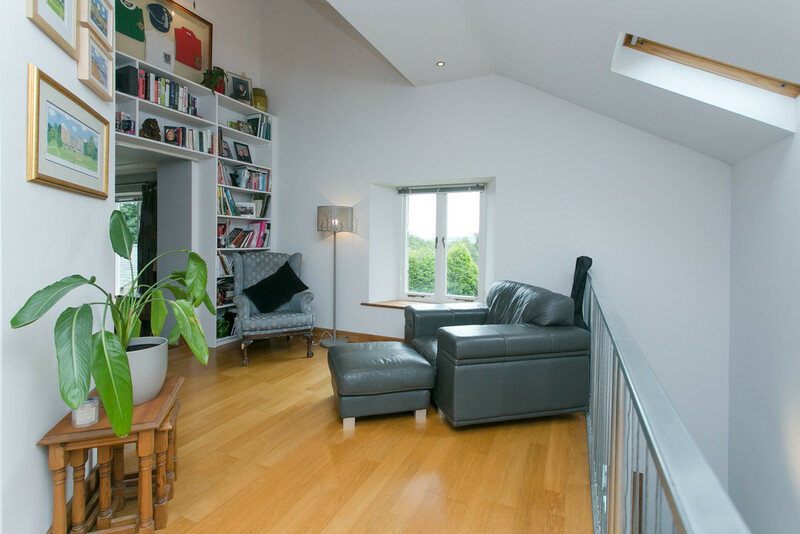 Continuing from the living room up oak stairs reveal a beautiful Gallery room with a striking mezzanine balcony overlooking the dining room below. Built in shelving for storage surrounds the stepped walkway, creating contemporary elevated coving for books and other treasured items. 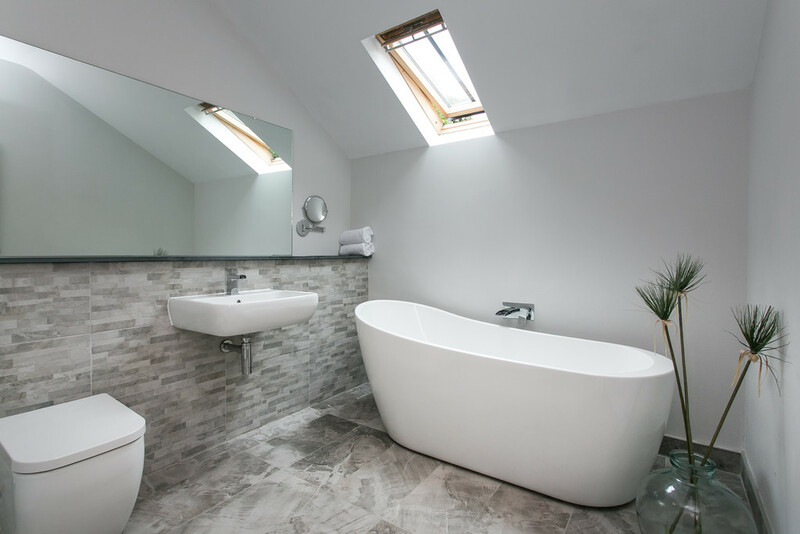 The modern house bathroom comprises slipper bath, ROK ceramic WC and wash hand basin all finished with an attractive grey slate floor and tiling. 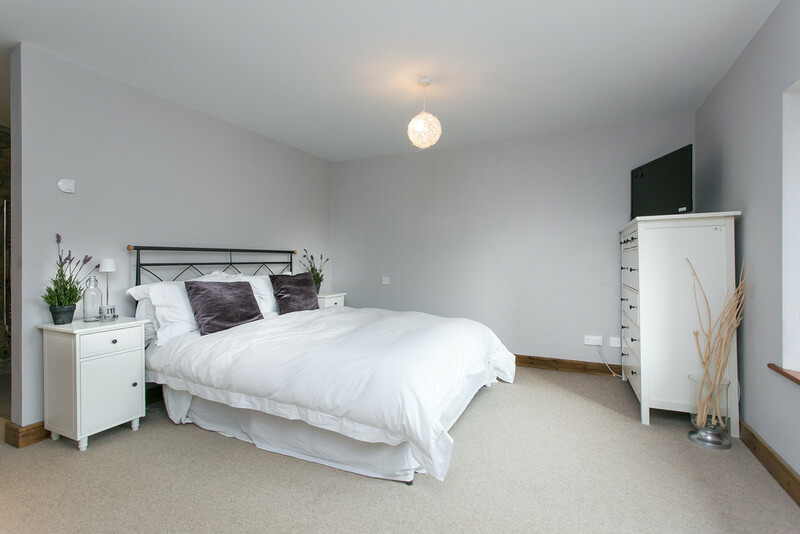 The first floor is also home to two generous double bedrooms, one of which is ensuite. 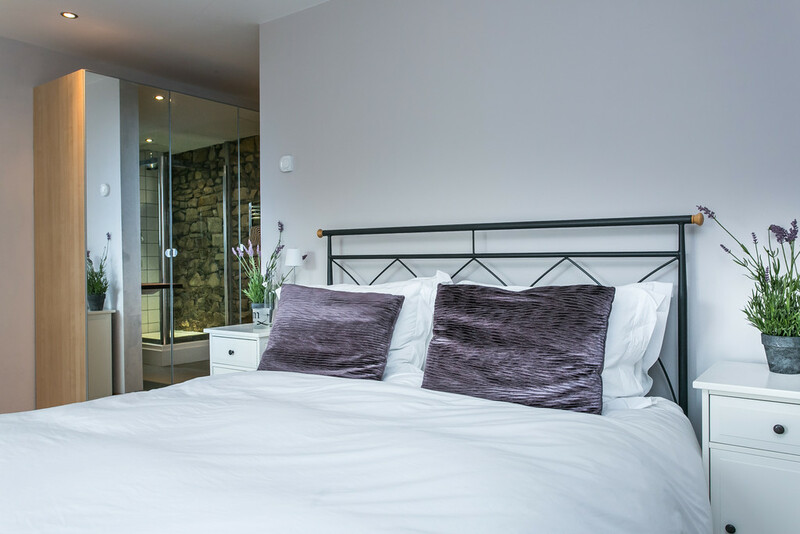 Continued characterful features continue to flow throughout the rooms such as exposed stone walling and the larger of the guest bedrooms is a generous double with a unique ensuite shower room. 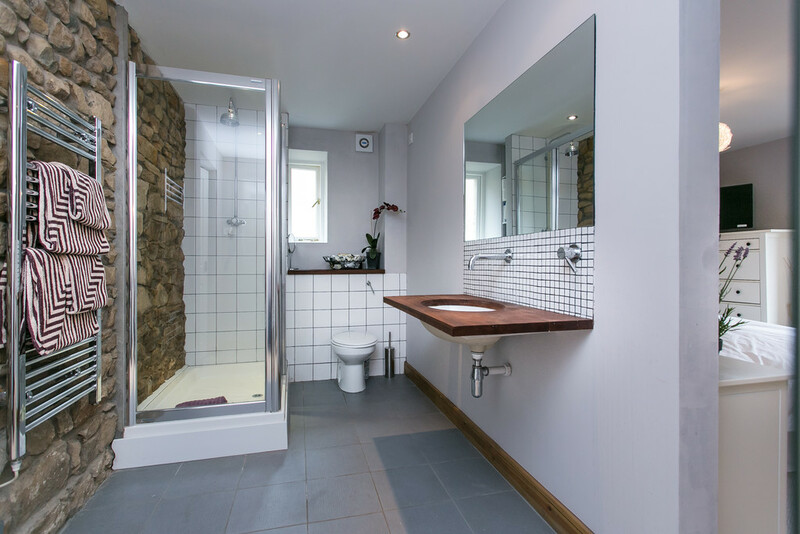 Decorated with attractive mosaic tiling continuing throughout a walk in rain shower, Roca pedestal wash hand basin and WC and heated towel rail complete this room. 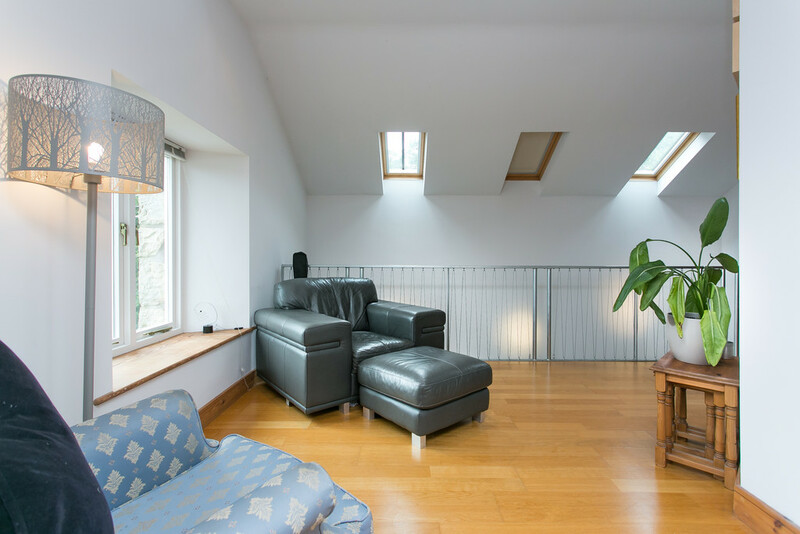 The second floor of Hillside House affords a further generous landing with a useful store room incorporating shelving for laundry. 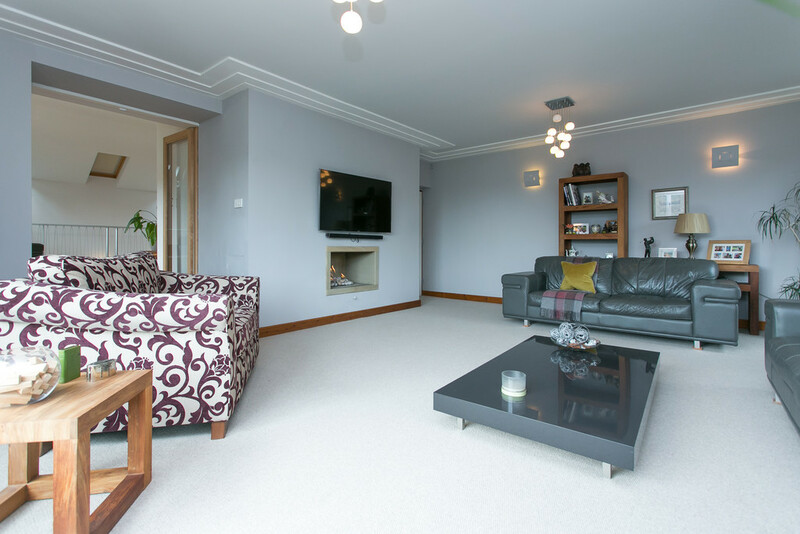 Two double bedrooms including a master suite and a further generous single served by a spacious house bathroom which includes a spa bath, shower, WC and wash hand basin, complete the generous accommodation to this extensive property. 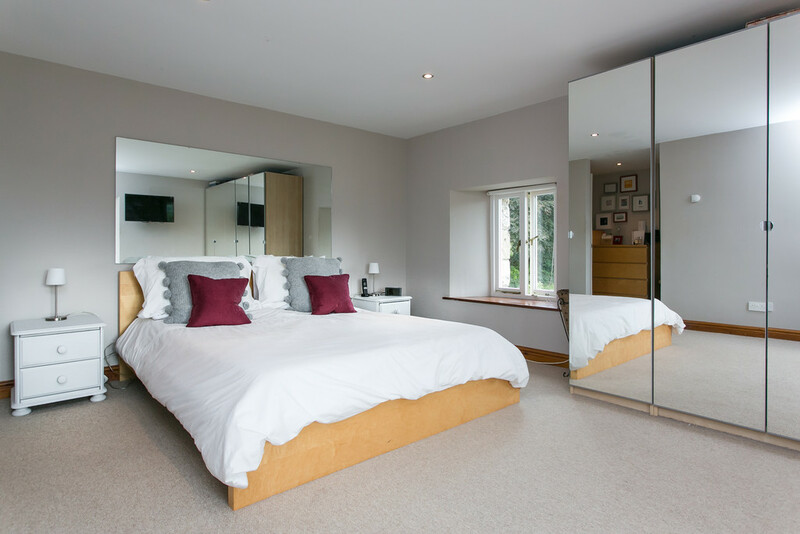 The Master bedroom is again light and airy affording a chic ensuite fitted with contemporary white floor and wall tiles, offering quality fittings to include a walk in rain shower, RAK Ceramics WC, bidet and wash hand basin with a useful built in storage cupboard. 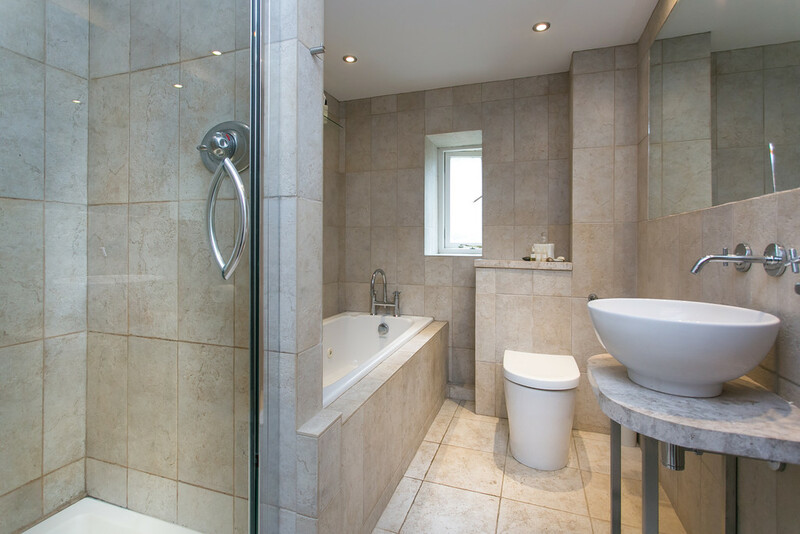 This is sleekly finished with modern lighting illuminating the shower and fitted mirror. 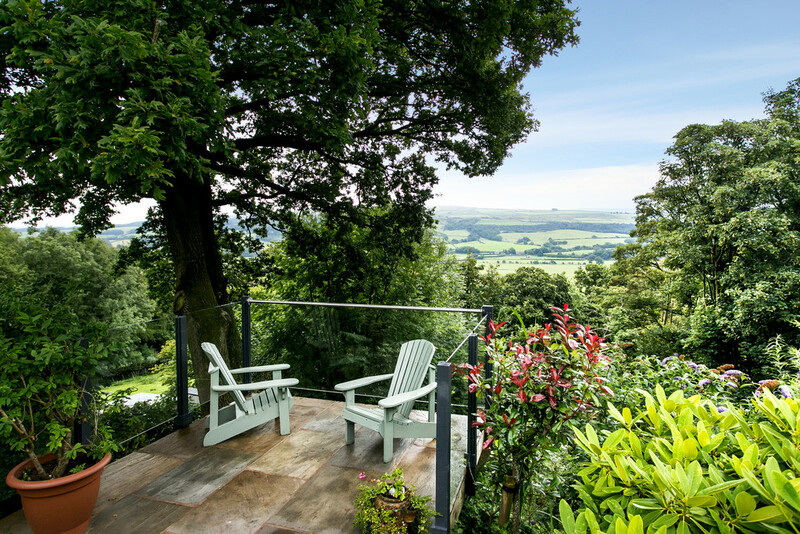 The gardens and grounds of Hillside House present a multitude of appealing areas and retreats, all offering a wealth of tranquility and time for reflection. An immaculate block paved parking area to the side with ample parking and turning for several cars fronts a perfectly manicured lawn, enveloped by thriving lavender bushes and vibrant well stocked borders which adorn the banking with sweeping trees beyond. 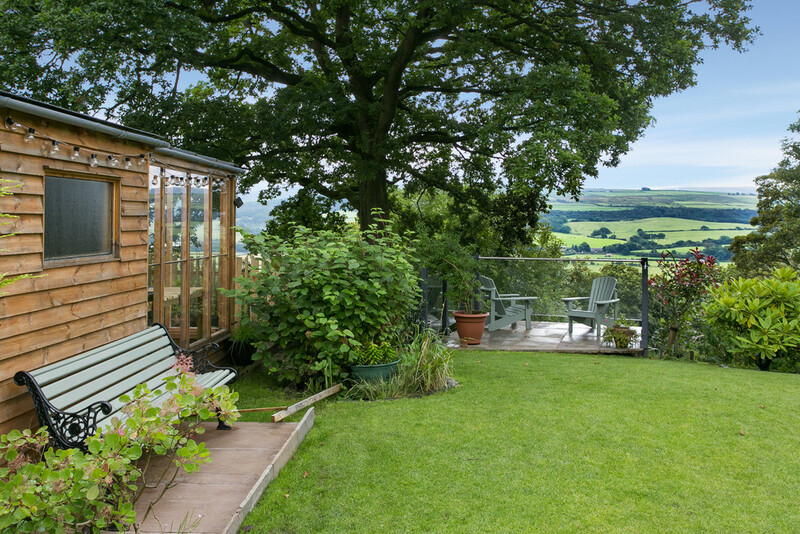 The end of the extensive lawn reveals a timber potting shed with glass fronted greenhouse and an elevated glass encased viewing platform creating the idyllic setting to observe the wonderful views or to look back in admiration at the impressive main house, taking in the sights of the River Lune and the Lune Valley. 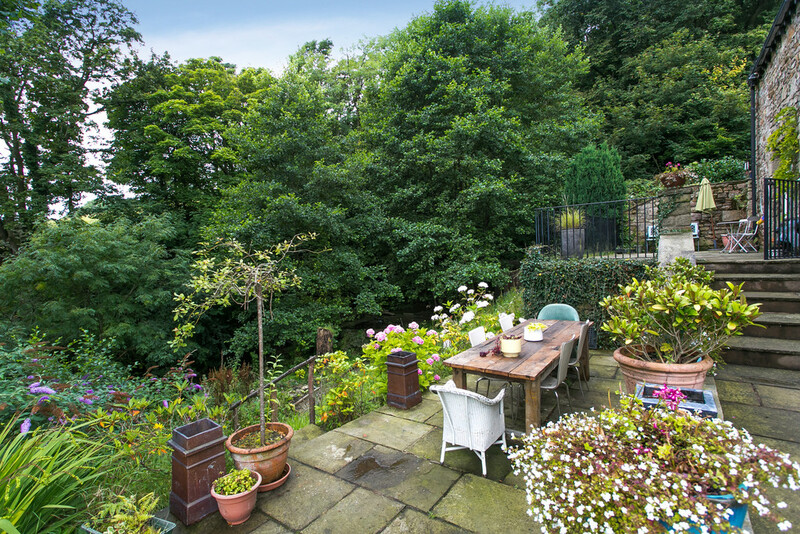 The rear of the house continues with meticulous landscaping with raised flag patio areas ideal for barbequing in the summer months or entertaining with guests. Stone steps and a bordered gravel pathway with lush plants and flowers sweep down to a enchanting timber Garden Room sympathetically clad with appealing cedar panels. Overlooking the meandering beck, this wonderful retreat provides the ideal hideaway to escape in perfect tranquility. An intriguing flag crossing point provides an intriguing adventure up to the gate at the top of an adjacent path. 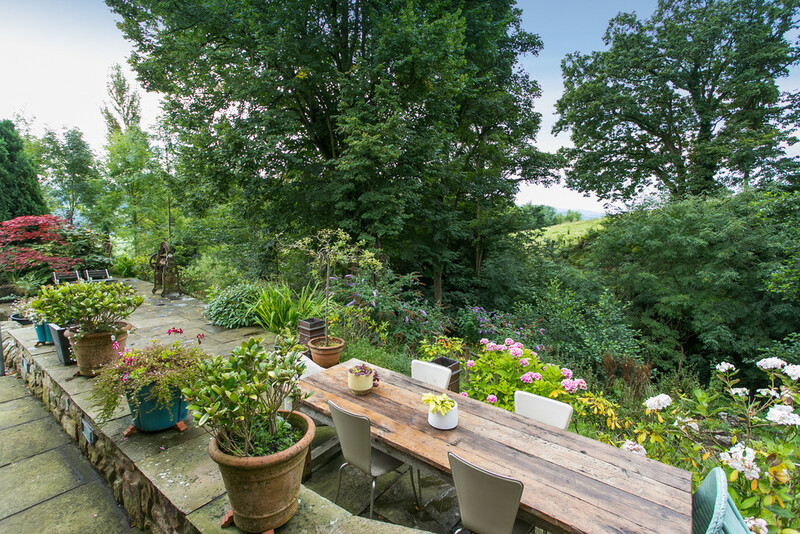 The variety and thoughtfulness of the grounds of Hillside house provide the ideal property for those seeking a taste of the country lifestyle in a truly serene setting. 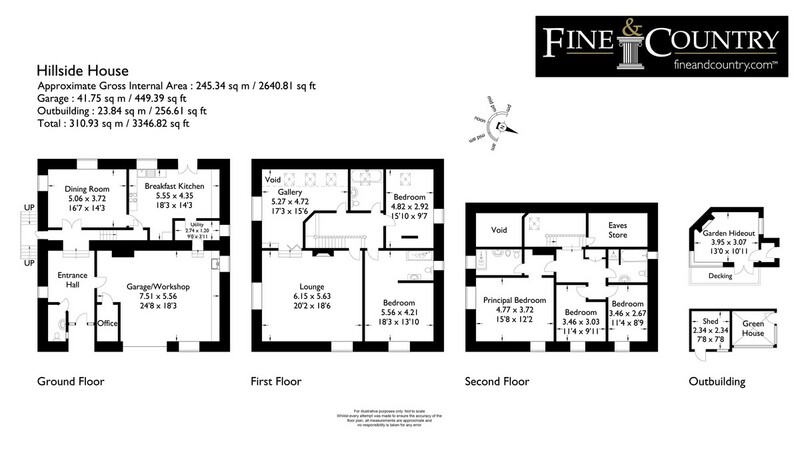 There is also the added benefit of Sidebank wood which extends to approximately 2.5 acres. Directions The property is situated in Aughton, on the low road, turn right at the crossroads and continue along a private lane until you reach the courtyard.